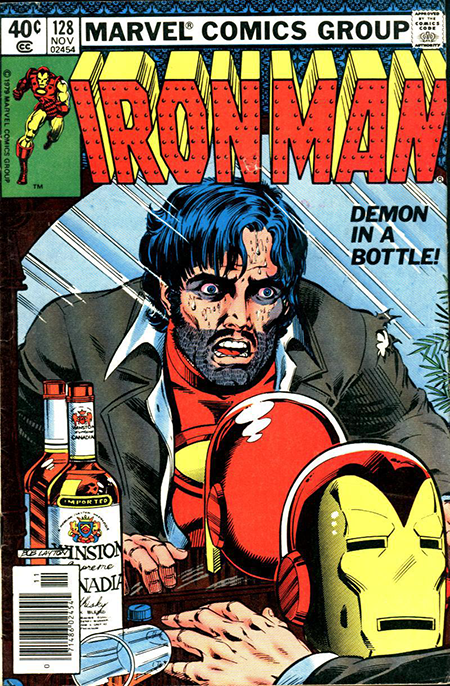 Bob Layton, the artist of a way cool cover from the Batty Batom Bullpen recently released in the gallery, is best known for his run with David Michelinie on Iron Man where together they took the character to new heights (or lows) with the story of Tony Stark’s alcoholism. No one had attempted anything quite as permanently character changing as that before, and it was beautifully written and rendered. His Starbuck Jones cover is a gem as well and pretty much speaks for itself. When it came in and I saw the tentacles reaching in from off panel, I immediately decided that it just be the same beast that Michael Gilbert described on his cover… the Octo-Shark. While I did work that into the story arc in the strip about Holly’s comic book safari for her son, I find myself wishing now that I had added a blurb about that on this cover. At the time, I was reluctant to cover up any of the gorgeous art, but I soon got over that and began slapping title boxes on the subsequent covers (sorry, Neal Adams and Tom Palmer). Ah well, hindsight. But I didn’t cover up any of Bob’s art, so it’s all there to be be enjoyed and possibly acquired by you at the Heritage auction of these covers in November for the benefit of the Lisa’s Legacy Fund for Cancer Research.